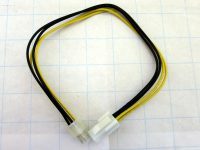 Triple-follow-up to the WHL #14 article about the 4-Pin extension cables for desktop computer mainboards. 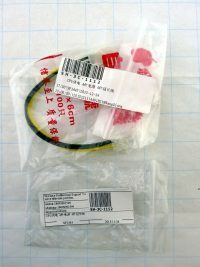 Since publishing the article, I managed to order two more cables from CHAINA, two different sellers, with very similar product description. At the end of January, both have arrived and have been tested immediately. Religious holidays, you gotta love them. Short (pun intended) review today: A plain old power extension cable for your PC, one of the 12V supply cables to the motherboard. I don’t really know why I ordered it back in January, but I guess it was in preparation for upgrading one of the 19″ cases as a gaming rig. Which hasn’t been built yet, because the bloody display manufacturers only ship crappy 3440×1440 displays with ridiculous FreeSync ranges..or even without. In 2016! It’s not rocket science! Slightly aged review item today! 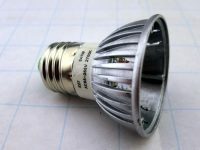 Last week, an E27 LED light bulb died. I bought it back in September 2012 for 2.58 GBP on eBay and got a full refund at that time because it was neither “3W” nor “Warm White”, so I decided to use it in a bedside lamp which isn’t in use much at all. Now, 4 years or let’s say 300 hours of operation later, it showed a nasty 50 Hz mains flickering and I decided to replace it with a 3W quality German brand lamp for… 2.59 Euros. LEDs really have entered the mainstream!